Tribeca has announced that Jun Bei Liu has assumed portfolio management responsibility for the Tribeca Alpha Plus Fund. 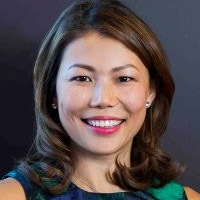 Ms Liu has been co-portfolio manager of the fund since June last year and her appointment follows the decision by Sean Fenton to step down from his management responsibilities. Ms Liu joined Tribeca in 2005 as an analyst and was promoted to deputy portfolio manager of the fund in 2016 before assuming co-portfolio responsibilities. The fund is a top-performing equity long-short strategy that combines quantitative framework with a fundamental investment approach. The firm thanked Mr Fenton for his role in the growth and success of Tribeca over the last fourteen years and confirmed Ms Liu will continue to manage the portfolio in the same process.